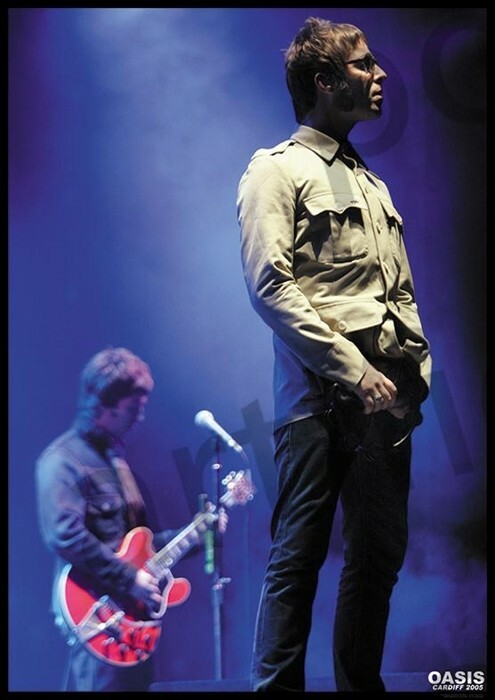 Music posters - Oasis posters: Oasis poster featuring the Gallagher brothers Liam and Noel, in a photo taken onstage with Oasis in Cardiff in 2005. The watermark on the image shown on this site does NOT appear on the poster. 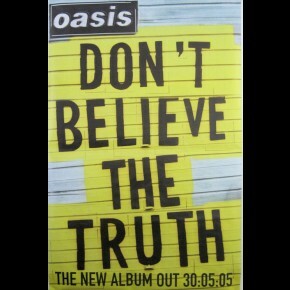 Independently published Oasis poster published by Art-i-ficial.